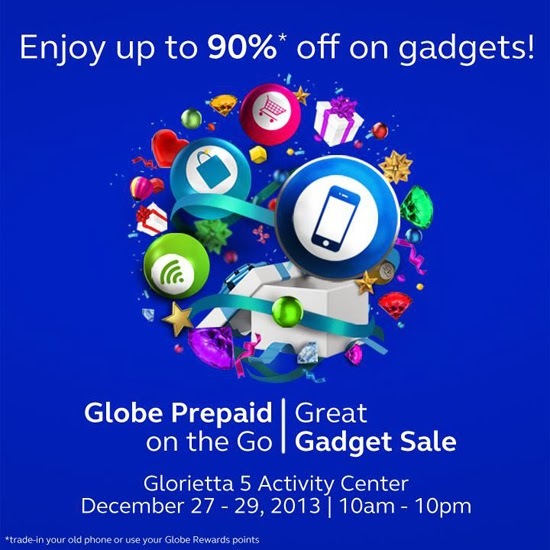 Globe telecom announced that they are giving up to 90% off on selected phones and gadgets before the new year(2014) is coming. 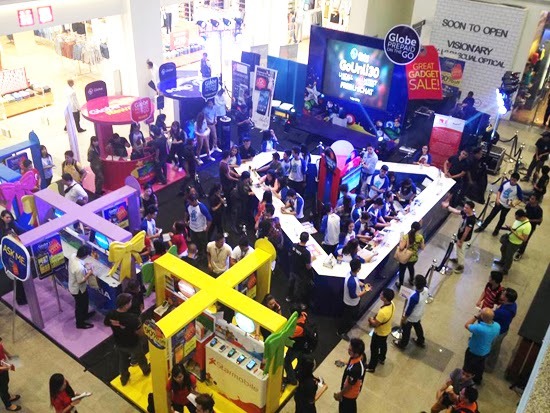 Avail a huge discounts by visiting Glorietta 5 Activity Center on December 27-29, 2013 starts at 10 AM to 10 PM. Get awesome discounts on mobile brand such as Samsung, Nokia, LG, Sony, Alcatel, Lenovo, O+, Star Mobile, MyPhone, and Cherry Mobile. Get awesome deals for gadgets including Samsung Galaxy S Duos 2, Nokia Lumia 720, LG G2, Sony Z Ultra LTE, Alcatel Idol, Lenovo B6000 Yoga Tablet, O+ 8.6, Star Mobile Knight, MyPhone Iceberg Mini, Cherry Mobile Cosmos X, and many more. Globe also give exclusive data bundles with the phone purchased, plus freebies and prizes when you join the event.